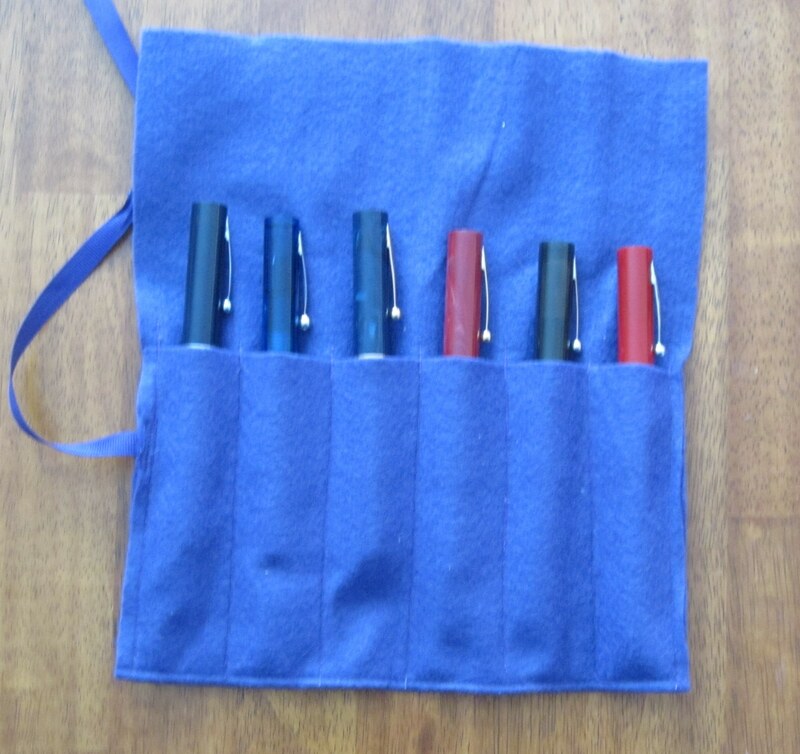 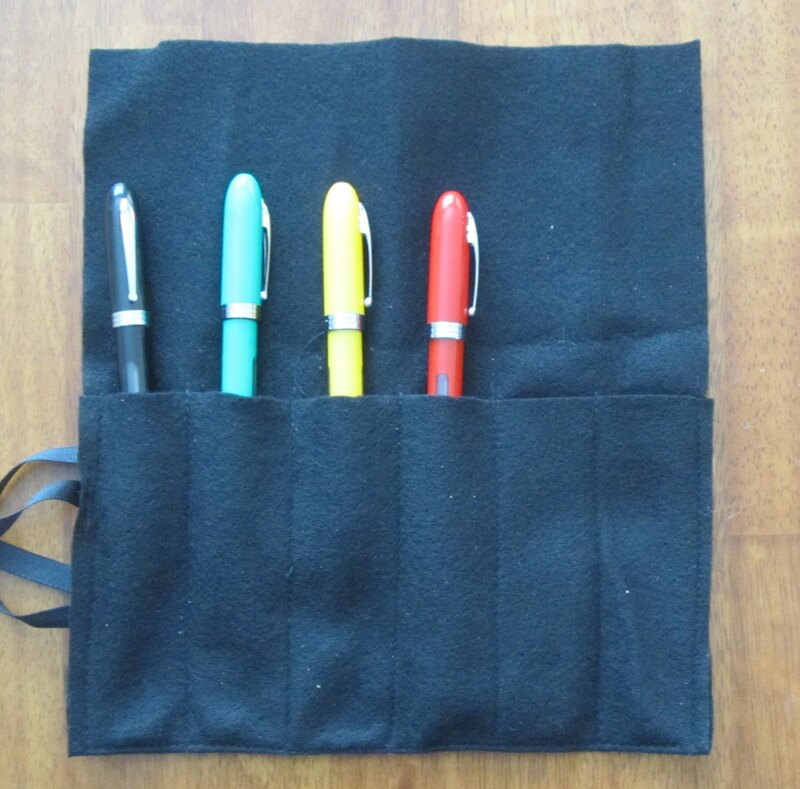 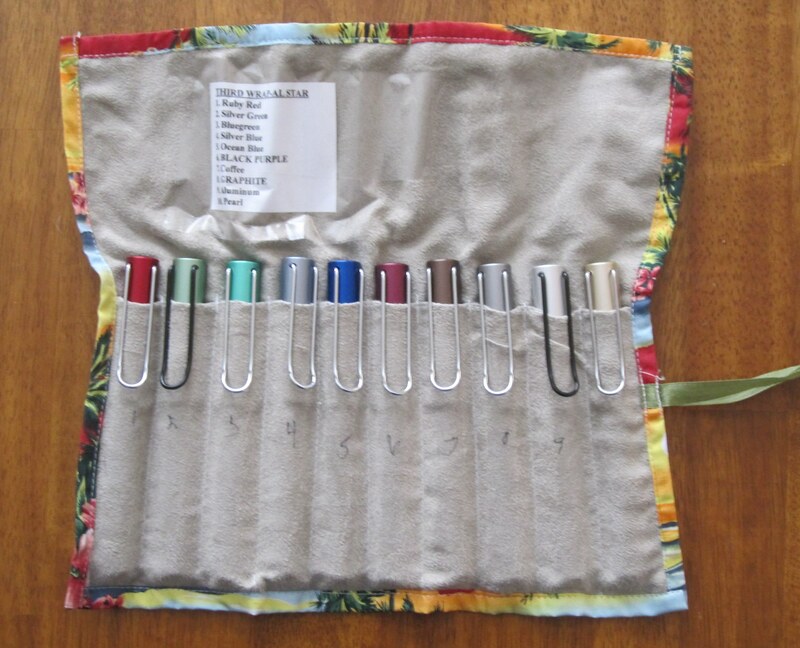 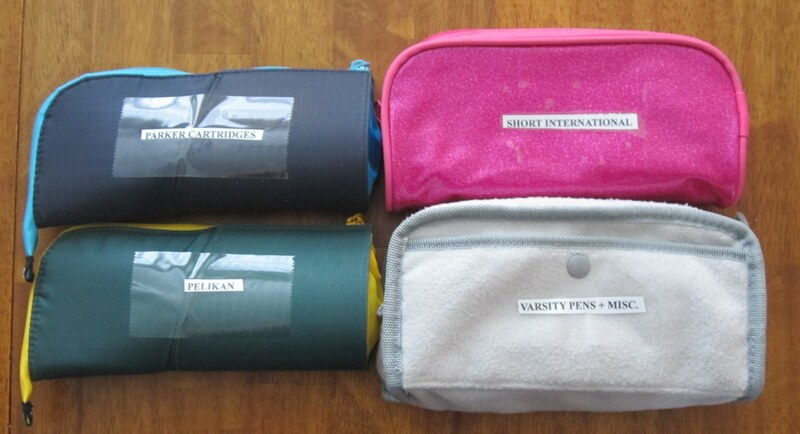 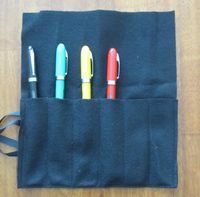 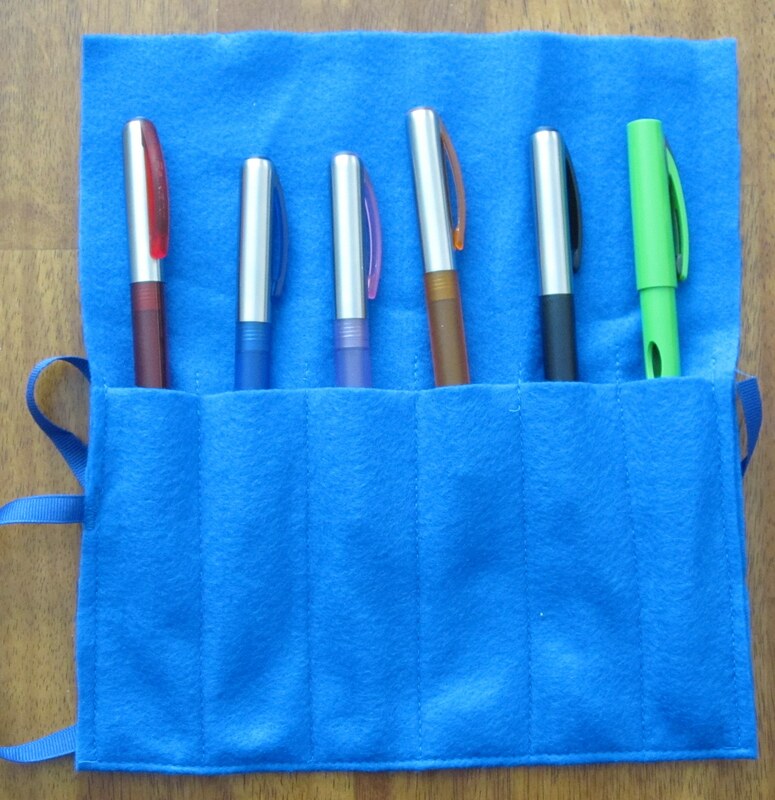 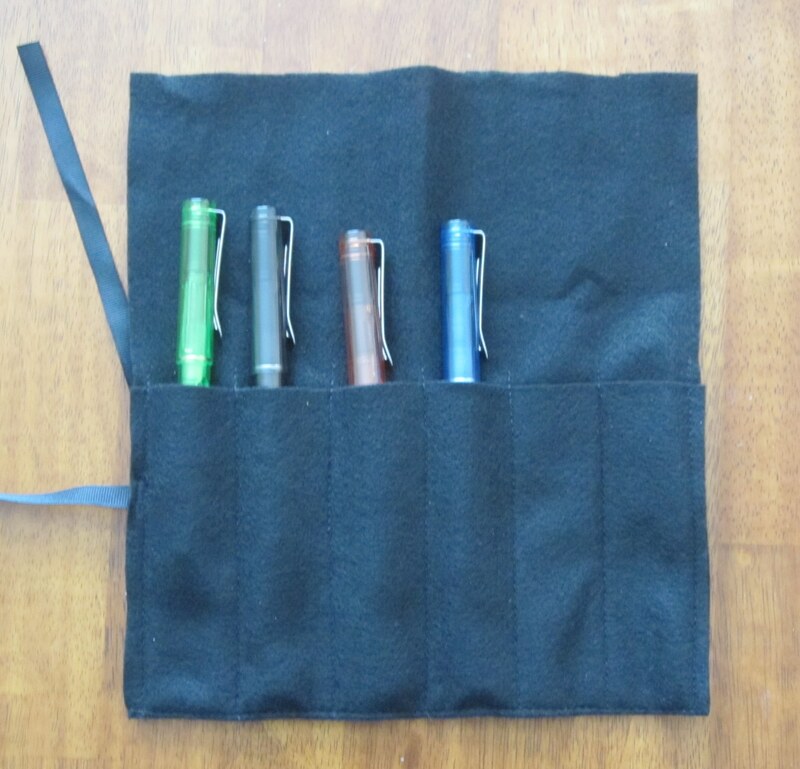 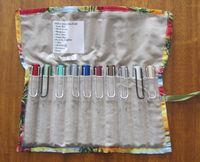 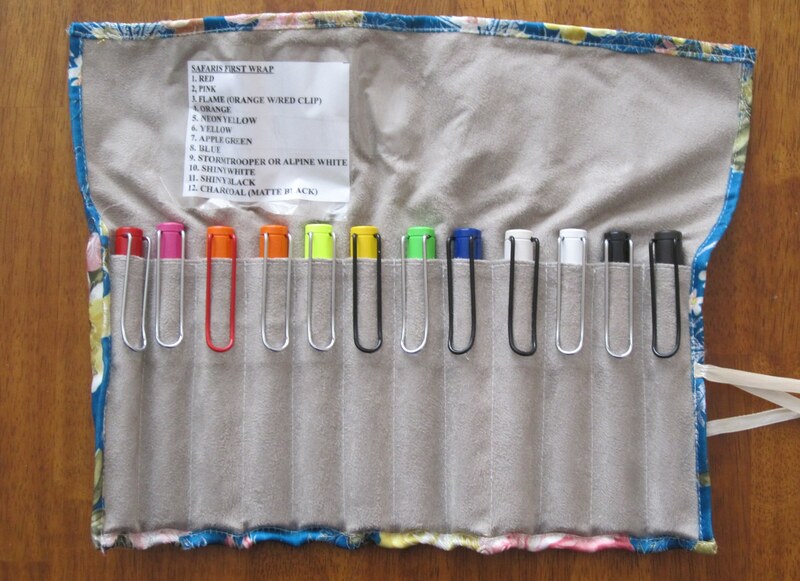 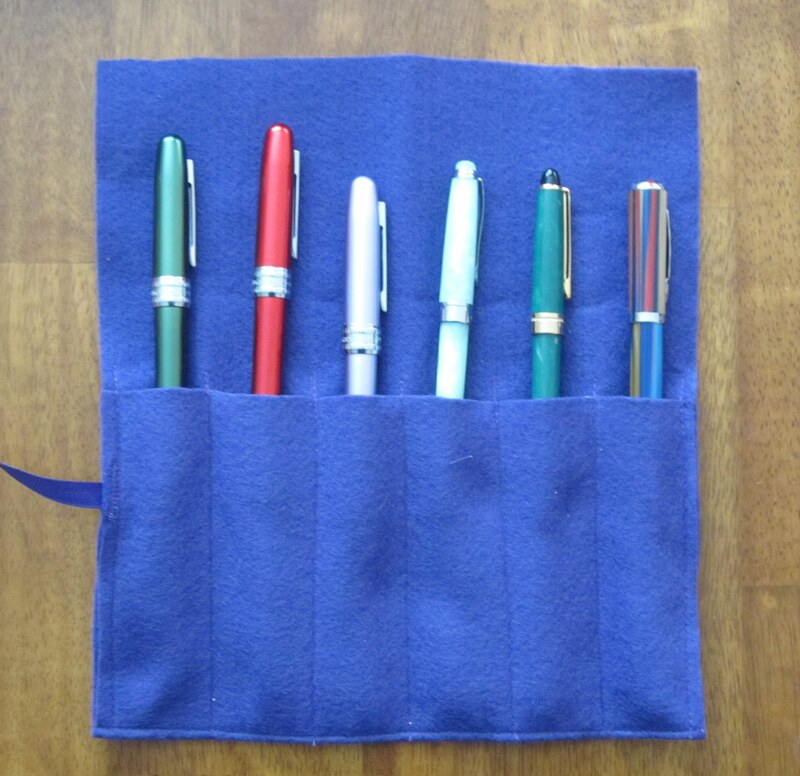 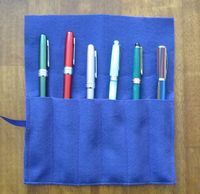 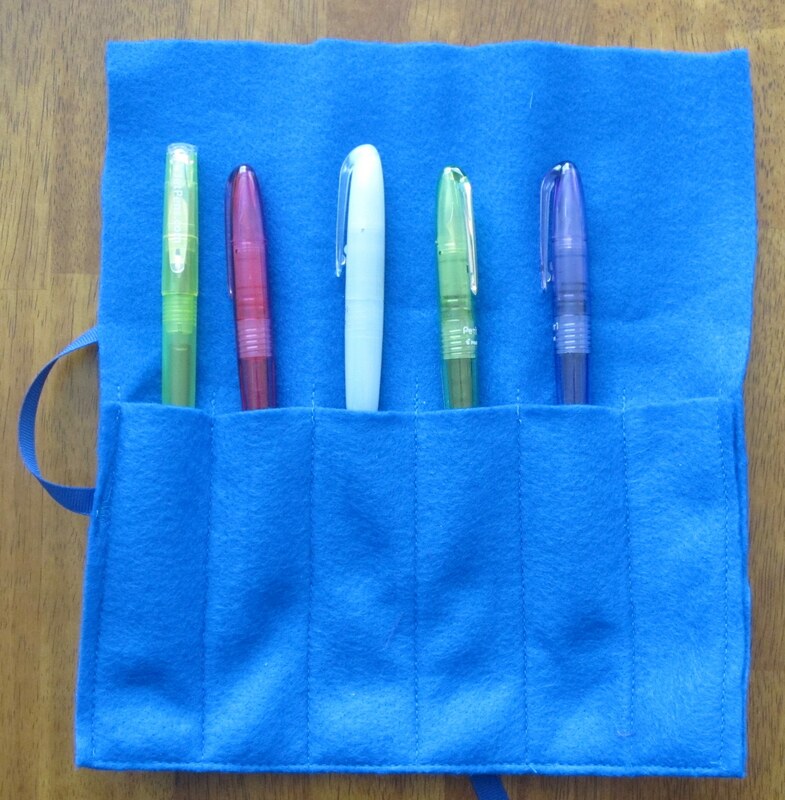 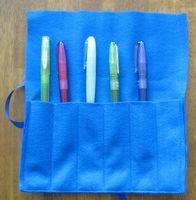 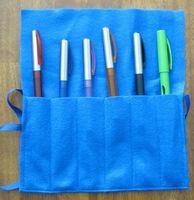 Pen wraps are great ways to keep our pens organized and to protect them from damage that they could get from rubbing against each other. 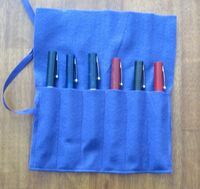 You can see how pretty some pen wraps can be. What I have done on the inside is to print out a list of the fountain pens in the wrap in order from left to right which helps me remember what the pen is and lets me know where to put it back once I've used the ink and flushed out the pen. 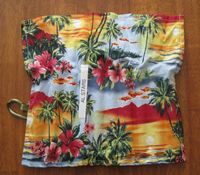 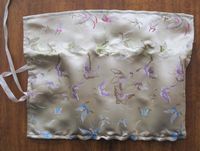 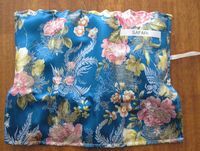 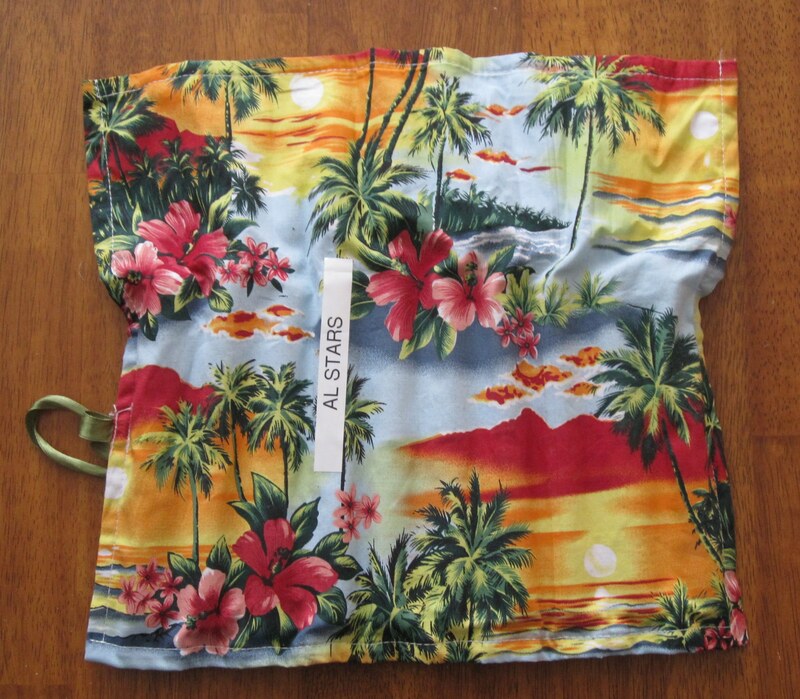 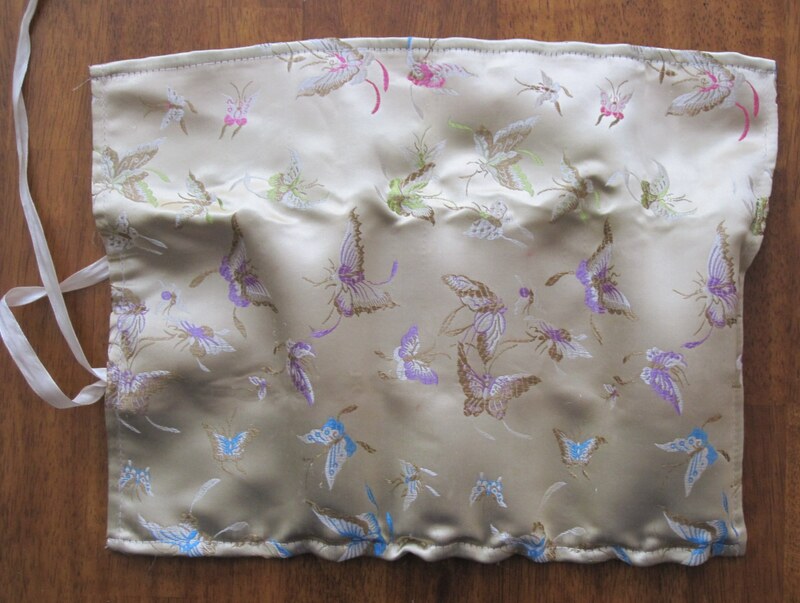 Following are more examples of such wraps. 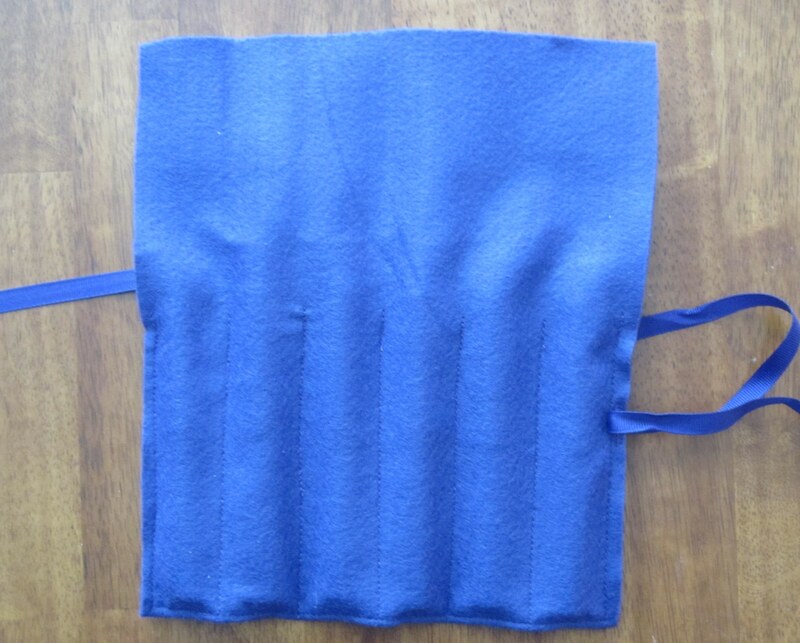 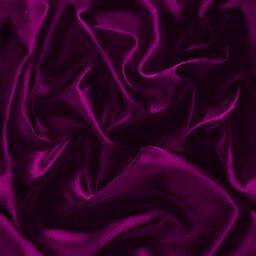 The following are felt wraps. 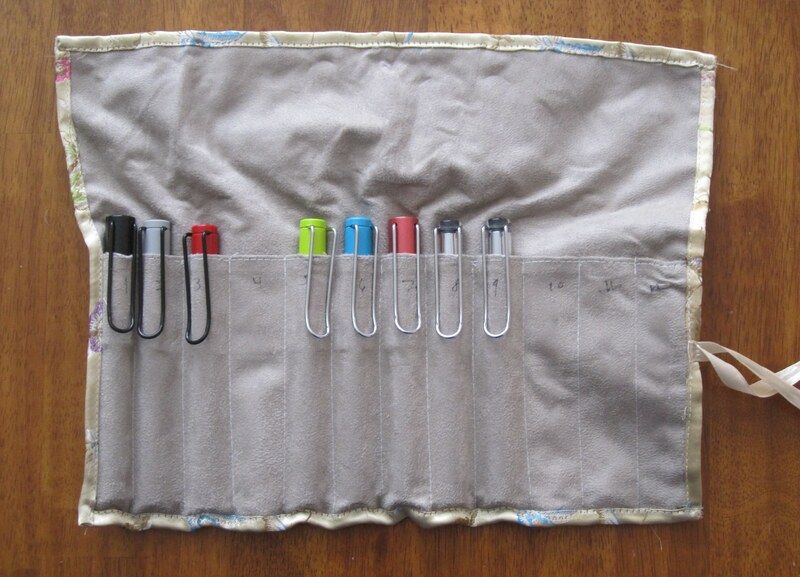 There are loads of different ways of storing your cartridges. 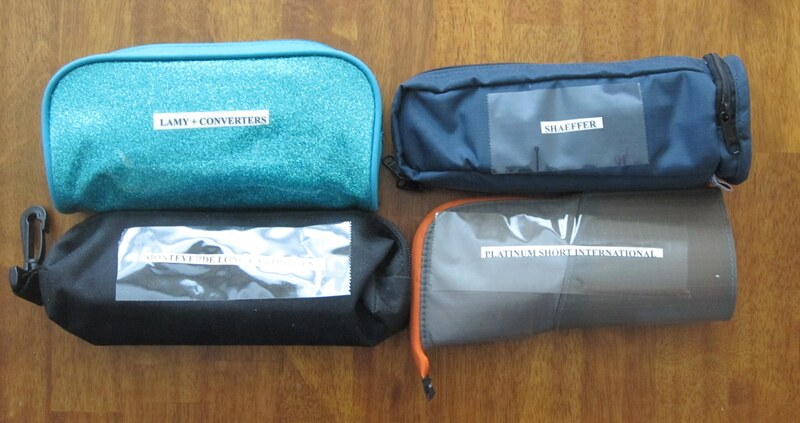 As you can see I have used a variety of containers.